How and where you drive affects your brakes and how often they need maintenance. If you drive in a city, you’ll need a ton more brake work than someone who clocks most of their miles on the freeway. The wear and tear comes down to how often you apply the brake. That’s why it’s hard to give precise instructions about the frequency of your brake maintenance. Some will hardly need any work year after year and some will need to change their brake pads and get an inspection every few months. So, in which category do you and your car fall? It’s important to watch for the signs of brake wear and tear before it turns into brake failure. Rotating your tires every six months is a good preventative measure, as regular brake inspections by qualified professionals conducted at the same time. The way you drive can also affect your brakes. Be alert for obstacles and traffic ahead. Keep plenty of space in front of you. Avoiding tailgating isn’t just good road etiquette; it also eliminates the need to slam on your brakes all the time. You can also clean out your car of heavy items you don’t regularly use, which allows your brakes work less, lessening the wear on your brake pads. Brake pads are the friction material that is pressed against a metal plate called the rotor to slow the rotation of your tires, bringing your vehicle to a stop. A clear warning sign that the pads are worn thin is a squeaking, squealing, or grinding noise whenever you apply the brakes. You might also, or instead, feel a pulsing or shaking up your leg or throughout the car as you apply the brakes. Another common problem for drivers is being low on brake fluid. If your brake light on the dashboard goes on while driving, you may have a leak and need immediate repairs. Life-Saving: Few systems are as critically vital for safety as good brakes. Any diminished effectiveness can turn near misses into collisions. Other Systems: Braking systems don’t exist in a vacuum. 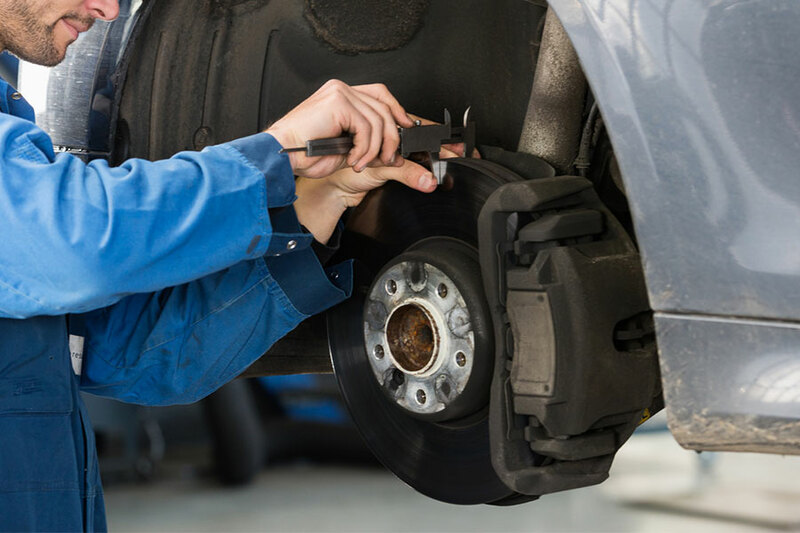 Worn rotors and slim brake pads can adversely affect suspension and tires, leading to costly repairs and replacements. Noise: Even if you still manage to brake, there’s the nuisance of screeching and squealing whenever you come to a stop. As always, the best way to prevent major problems with brakes is to flush brake fluid regularly, check rotors and pads for wear or damage every six months, and maintain some space between you and the driver in front of you. You can lengthen the life of your brakes so they can lengthen your life.